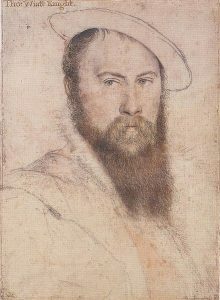 By 5th May 1536, two further arrests had taken place: courtier, poet and diplomat Sir Thomas Wyatt, and Sir Richard Page, a Gentleman of the Privy Chamber. Also around 5th May 1536, Sir Francis Bryan, a man ‘christened’ the ‘Vicar of Hell’ by Thomas Cromwell, was ordered to London for questioning. Bryan was questioned but not arrested. He had once benefited from Anne Boleyn’s patronage and their family connection, but he was best friends with Sir Nicholas Carew and had changed to the sides of the Seymours. Iwas sent via e-mail a nastey gram on The Great Queen,from I am sure a Phllipa G follower,and found how mis informed this person was on theQueen.There was not much said on the Seymuors as Jane Seymour and how she betrayed her Queen,aswell as the others in the Seymours family,what a shame! !They really wanted as many of th Boleyn’s eraced,as it wasnot safe for them to be alive.The Seymours flip and flopt, as I am sure to please Cromwell and the King Also I read that the day after Queen Annes death the King did married Jane Seymour,then I read it was three week? ?WellBryan had to keep his head,so smart move. Jane Seymour didn’t have anything to do with the fall and arrest of Anne Boleyn although Henry did what he did to be free to marry her. The Seymour family were definitely just as ambitious as the Boleyn family had been and the two brothers, Edward and Thomas, rose to become prominent through the Council, army, Privy Chamber and many official posts as the uncles to the heir to the throne. Both brothers were arrogant and influential to the point of the removal of the Howards being often laid at their door in 1546/7. They also seized power after Henry’s death. However, Henry Viii is the main person we must blame for the arrest and fall of Anne Boleyn, because no matter who else was involved, be it Thomas Cromwell or the Seymour faction, he was in charge and he gave the orders. 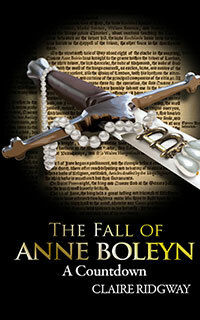 Henry Viii and Jane Seymour were betrothed the day after Anne Boleyn’s execution, not married. They married eleven days later, but it was all very fast.